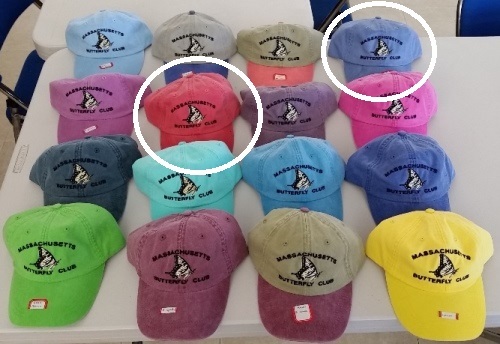 We have a few Massachusetts Butterfly Club HATS left. Available in Periwinkle, Burgundy, Purple and Red. They are on sale for $20 each. Thanks to Tom Gagnon for his efforts. Tom will have the remaining hats for sale throughout the summer season. For questions, please contact Tom Gagnon.